One person was transported to UMC Trauma following a collision involving a semi-truck and passenger vehicle. 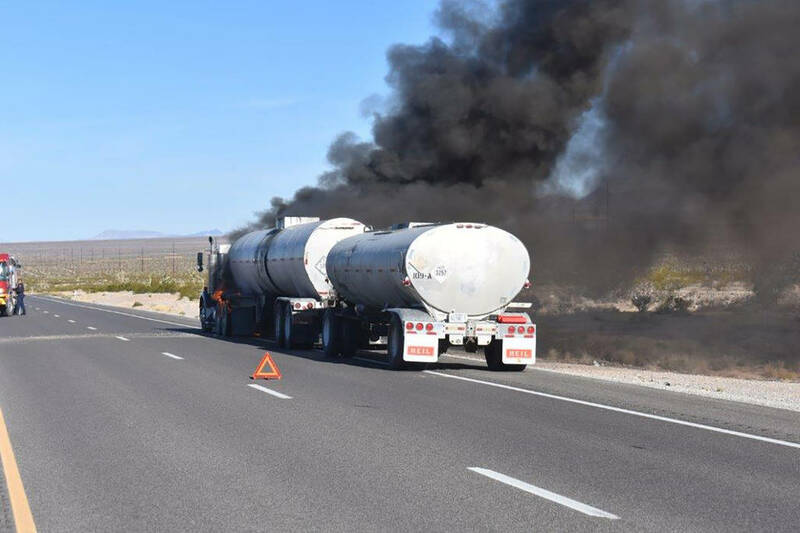 Special to the Pahrump Valley Times Traffic along Highway 160 was halted in both directions as Pahrump fire crews responded to a mutual aid tanker truck fire in Clark County just before 9 a.m. on Thursday Sept. 27. Pahrump Fire Chief Scott Lewis said the tanker contained a liquid oil used for asphalt production. No injuries were reported. 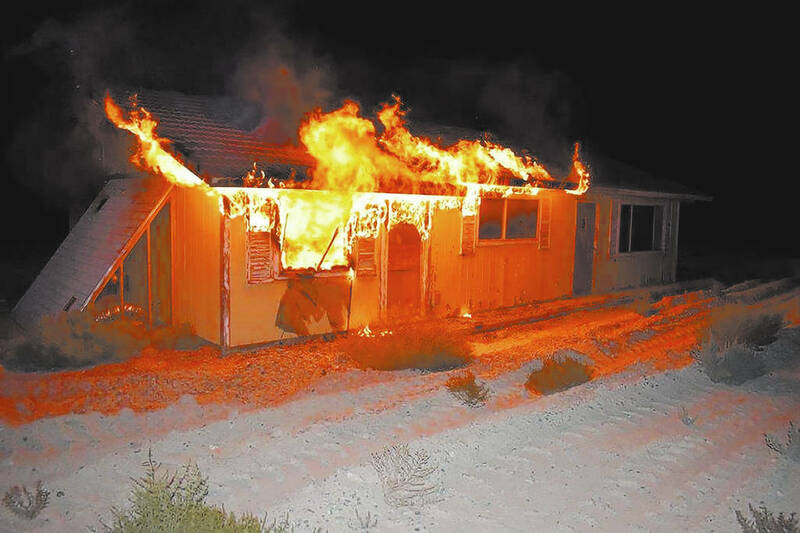 Special to the Pahrump Valley Times On Friday September 28, fire crews were summoned to the 4500 block of South Homestead for a reported structure fire just after 11 p.m. The fire, according to Chief Scott Lewis was extinguished with no extension to other structures on the property. The cause of the fire is suspect in nature. Pahrump Valley Fire and Rescue Services Chief Scott Lewis said crews were dispatched to Highway 95 at mile marker Nye 23 just before 1:30 a.m., on Oct. 2. On Thursday, Sept. 27, local fire crews were dispatched for a mutual aid assignment along Highway 160 in Clark County for a vehicle fire, just before 9 a.m.
Lewis also said that the initial investigation revealed that it was not actually a fuel tanker. Additionally, Lewis said the substance inside the tanks is similar to the consistency of diesel fuel. On Friday, Sept. 28, fire crews were summoned to the 4500 block of South Homestead Road for a reported structure fire just after 11 p.m.